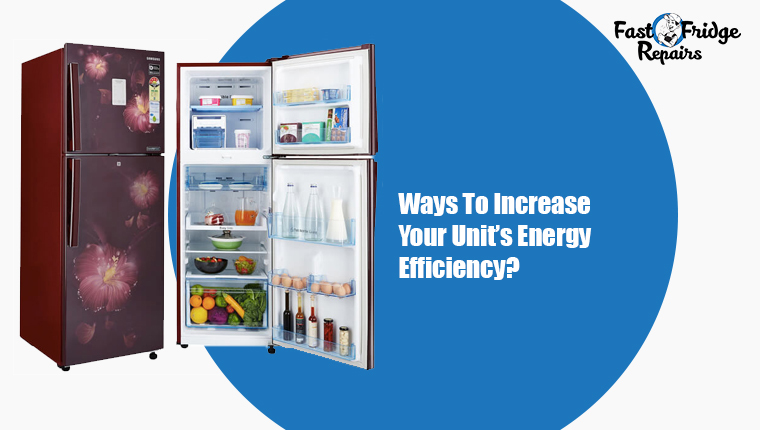 Now, because your unit works round-the-clock to store your items, it should not come as a surprise that your unit contributes greatly to your monthly electricity bill. On an average, it is estimated that a refrigeration unit costs between Au$12-Au$38 to function annually. If you find that your reliable unit is operating inefficiently (and over some time now), then you can even expect an additional operational cost of Au$120-150 annually! So, you can see that this is not a matter to be taken lightly. 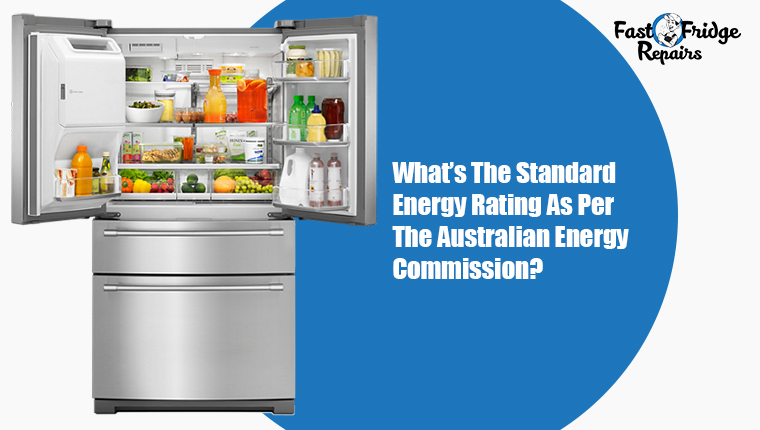 What’s The Standard Energy Rating As Per The Australian Energy Commission? As per the reports, every refrigerator is needed to produce an energy rating of A+, A++, A+++ or even A++++ (the highest energy rating for a unit). The logic is- A unit with a higher energy rating means it takes low energy consumption, which in other terms also denotes- less annual operational cost of the cooling unit. Ways To Increase Your Unit’s Energy Efficiency? You need to ensure the thermostat is set at an optimal temperature- specific to the user’s manual. If you face issues in adjusting the temperature on your own (mainly due to lack of knowledge or confidence), then you can phone our fridge electrician at ‘Fast Fridge Repairs’to look into the issue. Our fridge electrician will set the temperature between 3-5 degrees Centigrade, and also set the freezer temperature at -18 degrees centigrade (the ideal temperature setting for optimal cooling). You can even request our experts to check for possible leaks on the fridge door, or following necessary maintenances such as cleaning the dirt and grime gathered on the condenser coils. They will also help you pick the right location for your unit- which is far away from sunlight, cooker and oven. They will also ensure that the fridge is 10cm away from the wall or other household appliances. This is all to provide adequate air flows to the fridge. And, they will also recommend you to defrost unit in the correct intervals mentioned in the instruction manual. Our experts will also inspect the door seals properly and remove whatever debris and dirt have accumulated. If the door still doesn’t seal properly, then it also indicates that the door seal has weakened and requires proper and prompt replacement. Moreover, if your refrigerator still consumes more energy than it should, the reason could also be damaged condenser coils. Our experts have the right tools and experience to perform such replacements on the same day. So, there is nothing much for you to worry about. Having been around for years and having quality technicians offering top-fridge repairs and maintenance in Penrith; ‘Fast Fridge Repairs’ will present you affordable packages, with 12-month-warranty on each spare part used. Our experts are adept in handling all brand of fridges, and there are provisions for senior citizen discounts as well. So, don’t procrastinate any more. Get in touch with them and fix a schedule. 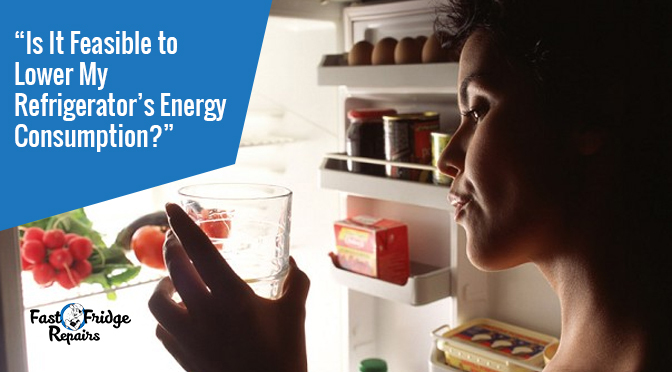 They will be more than pleased to help you curb your fridge’s energy consumption. Previous Post: Is Repairing Fridges Cheaper Than Going For a New One?